(l-r) Designer Mimi Plange poses at the Mimi Plange Spring 2013 fashion show presentation on September 8, 2012 in New York City; Ruth E. Carter attends Common’s 5th Annual Toast to the Arts on February 22, 2019 in West Hollywood, California; Tyler Mitchell attends the Opening Ceremony Lunar New Year 2019 celebration on February 10, 2019 in New York City. What best befits a celebration of iconic artistry? Being recognized by icons in the making. 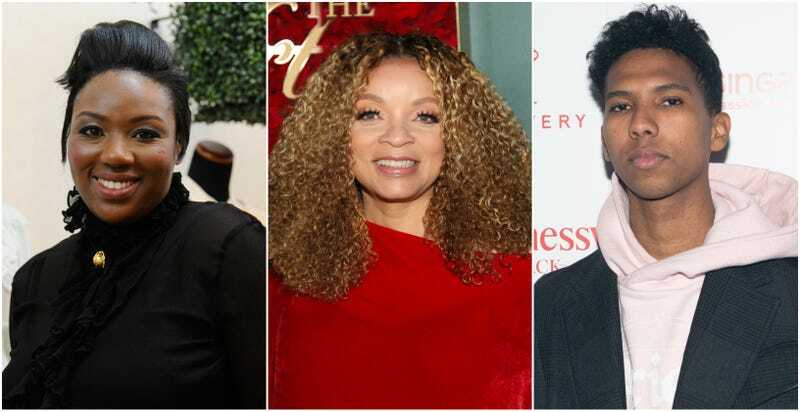 On Thursday, April 11 at the Skirball Cultural Center in Los Angeles, Oscar-winning costume designer Ruth E. Carter (Black Panther), fashion designer Mimi Plange and Tyler Mitchell, who made history last year as the first black photographer to cover Vogue, will join Director of the Brathwaite archive Kwame S. Brathwaite to speak on the enduring impact of his father, photographer Kwame Brathwaite, in a talk titled Black is Beautiful: Then and Now. The Skirball’s event is occurring in tandem with the opening of Black is Beautiful: The Photography of Kwame Brathwaite. As a leading visionary of the Black Power era, Brathwaite’s imagery helped redefine black beauty for generations both past and present. Capturing icons and everyday people alike, in the minds of many, his lens on black life put him on par with fellow photographers Gordon Parks and Roy DeCarava. Though Brathwaite has rightfully been the subject of several exhibitions in recent years, with a new book debuting on May 1 (and available for pre-order now), there is no better time to reflect on the work of this living legend. Los Angeles residents are in luck, as three generations of black artistic genius converge to discuss Brathwaite’s legacy and, likely, its impact on their own artistry. Black is Beautiful: Then and Now will take place at the Skirball Cultural Center at 8 p.m. on Thursday, April 11. Attendees are invited to view the exhibition from 6-8 p.m. Tickets are available here.